Help C.A.T.S. as you shop! Want a simple way to help C.A.T.S.? Amazon Smile is a way for customers, like you, to support your favorite charitable organization every time you shop with Amazon. 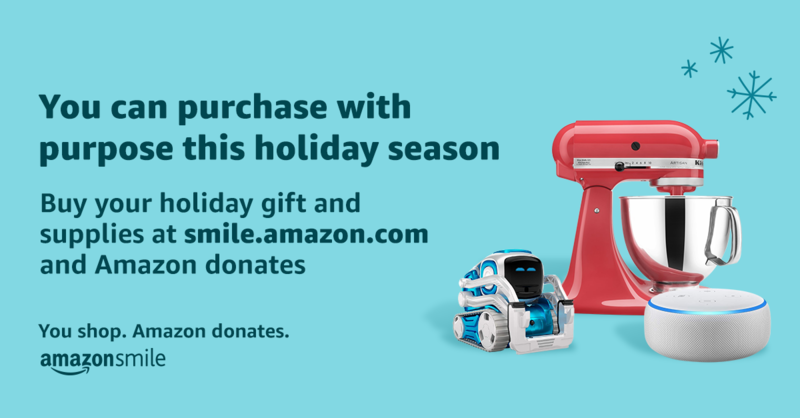 When you start with smile.amazon.com you can shop the same site that you know and love, with the added bonus of having Amazon donate a small portion (0.5%) of eligible purchases to the charity of your choice. Click Select to choose C.A.T.S. Check the box acknowledging that you must visit smile.amazon.com each time you shop in order to support C.A.T.S. and click ‘Start Shopping’. If you do most of your Amazon shopping on your phone, you will have to use your web browser to go to Smile.Amazon.com (the app won’t work with Amazon Smile). You can create a shortcut for your phone by following these steps. Thank you for considering this easy option for supporting C.A.T.S.! © Copyright 2019 Cats About Town Society.